We have a close knit group in GTA that hangs around together - family parties every weekend in cyclic order, birthdays, outings etc. For the last few years we have made it a tradition to go away from GTA for summer, fall and winter trips. We just returned from our fall trip 2011. Let’s revisit my experience. You’ll like it. Initially total nine families had planned to come. At the last moment one of the families dropped off. There was a time when we opted for one over night staying in a hotel/motel to keep cost low, however through the years we noticed it put too much strain on everybody. We got out to relax but returned with fatigue. So, for last few years we made it a routine to book for two overnight stays. In Peterborough we planned to stay Friday and Saturday nights. This would essentially give us most of Sunday as well for sightseeing or other activities as we wouldn’t have to leave the motel until 11Am on Sunday morning. Knowing Friday traffic in GTA could be a serious hindrance I went early to work and left around 4 PM (as oppose to my 10 to 6 PM regular routine). I was able to avoid some traffic but not all of it. I made it home around 5:30 PM. This wasn’t that bad considering most of the crowd that I faced was near my home town of Ajax. In GTA there are two freeways next to each other – the 401 Expressway and the collector. Each with four or more lanes it is an extravaganza of roads and vehicles. FYI – the collectors are connected to the expressway in certain points and works as the entry and exit point to the amalgamated expressways. Anyway, the reason I even brought it up is not to say how big of an expressway we have but to explain why my town Ajax get to see such suffocating traffic. The collector ends here and all the traffic on the collector lanes heading further east gets into a slow and cumbersome process of merging with the expressway traffic, resulting into creating a funnel – the narrow portion channeling to Ajax and beyond. I guess the city planners never thought that the city would grow at such a pace and would become one of the fastest growing metropolitan cities in the world (that is GTA – and not Toronto). Okay, I drifted a little, more than a little, let’s get back to the trip. My better half was ready to go, always a willing partner for trips, the kids were excited to get out of their own houses – a place they seemed to prefer much less over other people’s houses and hotels and motels. We started around 7 PM for Peterborough. There was still ample light on the sky, the weather was gloomy but not to the point that it would ruin our enthusiasm. Leaving in a country where six months were lost in winter (Oh well, lost may be too harsh. We have good times in winter as well. Snow falls are wonderful things until it starts to pile up. That sometime later.) we were suckers for sun and warm days. The summer here usually are very good, exactly what we all cherish for, with only one problem – it is short. 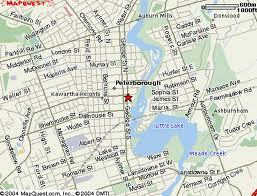 Peterborough was only about 100 kilometers away, if we didn’t hit heavy traffic it shouldn’t take us more than an hour. As we hopped on the expressway it was time for awakening. 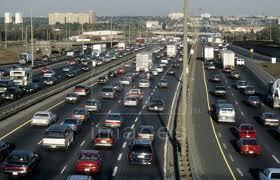 The lanes were jam packed in home bound traffic at the end of the week. 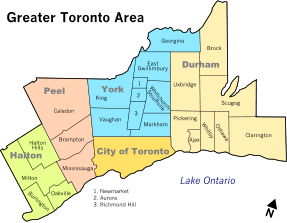 Many of them lived in the next two towns – Whitby and Oshawa, the later being a renown name as it hosts a General Motors manufacturing factory. I cursed under the breath – careful not being heard by the mom who were very particular about using bad words before the kids. I hated traffic, heavy bumper to bumper traffic. Working in jobs where I ended up driving quite a lot through such inhuman situation I have found one good way to steam out my dissatisfaction – cursing of course. If any of you have seen that Micheal Douglas movie (can’t remember the name but it was about a disgruntled man who snapped while waiting in a huge traffic jam) – a secret admission – I have thought of getting out of the car and swear against the government many times – for not extending the collector beyond Ajax, for taking too much income tax, for increasing property tax, for the skyrocketing fuel cost etc. I have many things to complain. Who doesn’t? Anyway, the drive to Peterborough wasn’t half as bad as it looked when we started. Once we crossed Oshawa the traffic waned off quite a bit. We exited from 401 and hopped into highway 115 little past Bowmanville, a town further east and flew through very light traffic. My kind of traffic.